Homemade clay?! Yep, it exists. It’s probably one of the best ideas I’ve found on Pinterest so far. During my many Pinterest browses I’ve encountered a variety of hacks so far. But clay was sure to be – for me anyways – one of those things you just had to go out to buy. 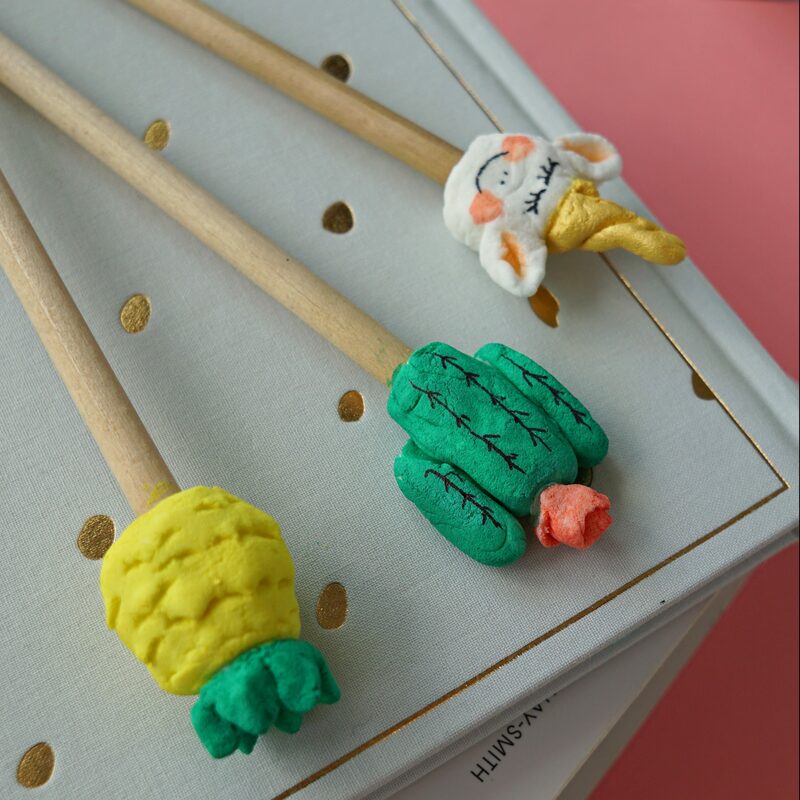 Inspired by the back to school craze that’s been happening, I got this idea for some cute DIY clay toppers to decorate plain pencils. Now, my craft collection has been growing steadily during the past few years. But clay is not something I readily have in my stash. So on a whim I decided to search for homemade clay recipes. And with great success it turned out. 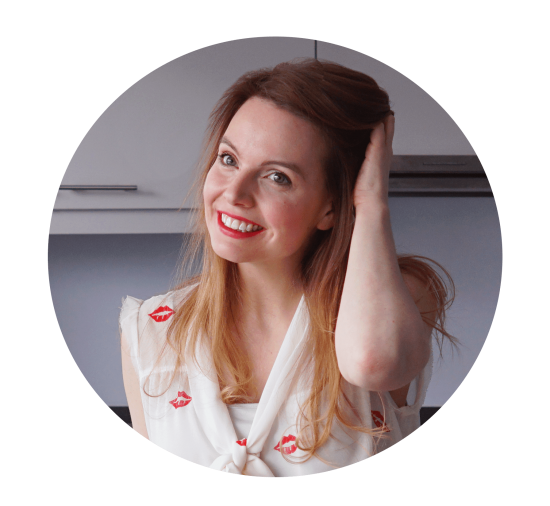 Turns out there are several recipes to make your own clay out there! All of the salt dough recipes had to be baked in the oven. And since my crayons would be wrapped around a pencil, that didn’t seem like a good idea to me. So I decided to go with a baking soda recipe instead. Reason #1: this recipe is perfect for when you want to make something. RIGHT. NOW. 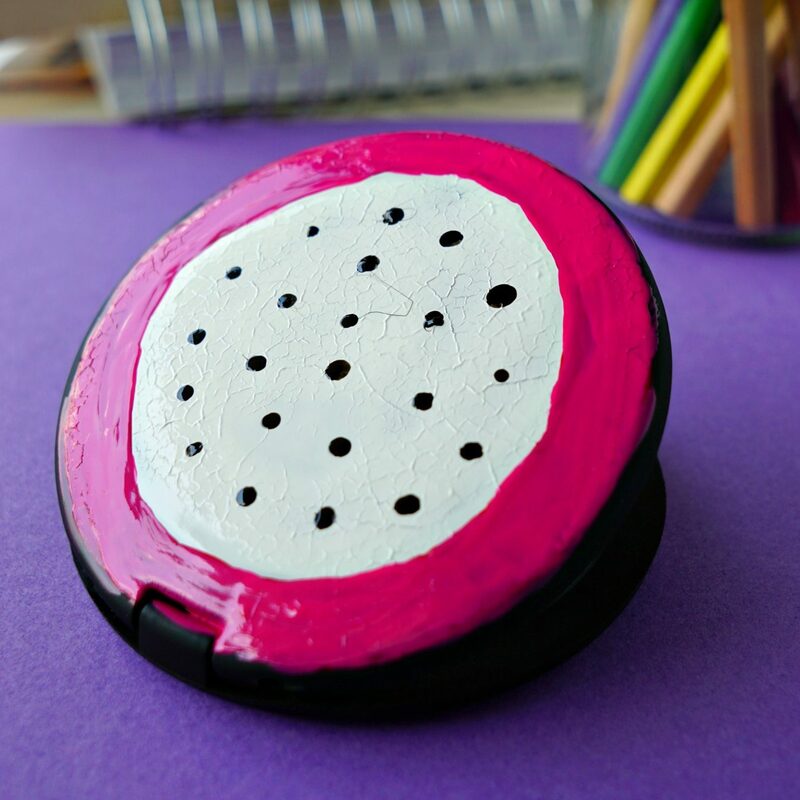 Do you ever come across a DIY tutorial that you just have to make the very minute you find it? For me that’s, well, pretty much every time. Reason #2: you only need simple household ingredients everybody has around the house. 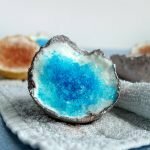 Especially if you’re into bath bombs making (it won’t come as a surprise to you when I say that I am) this recipe is perfect. The main ingredient is baking soda. And I have lots and lots of that in my stash. Reason #3: It’s a DIY in a DIY. You get a 2 for 1 deal when it comes to DIY tutorials. It’s basically the ultimate DIY. Put all of the ingredients in a cooking pot or sauce pan. Put the pot on low to medium heat. Stir the mixture to combine all of the ingredients and keep stirring regularly as the mixture heats up. The mixture will start to clump together. Keep stirring to smooth it out. After a while (at least 10 minutes) the mixture will start to look like a solid dough, a lot like cookie dough. Transfer the clay dough to a bowl. Give the mixture time to cool. Once the mixture feels cool to the touch, knead it like you would knead a bread dough until you have a smooth round ball. Store the homemade clay in an airtight container until you’re ready to use it. 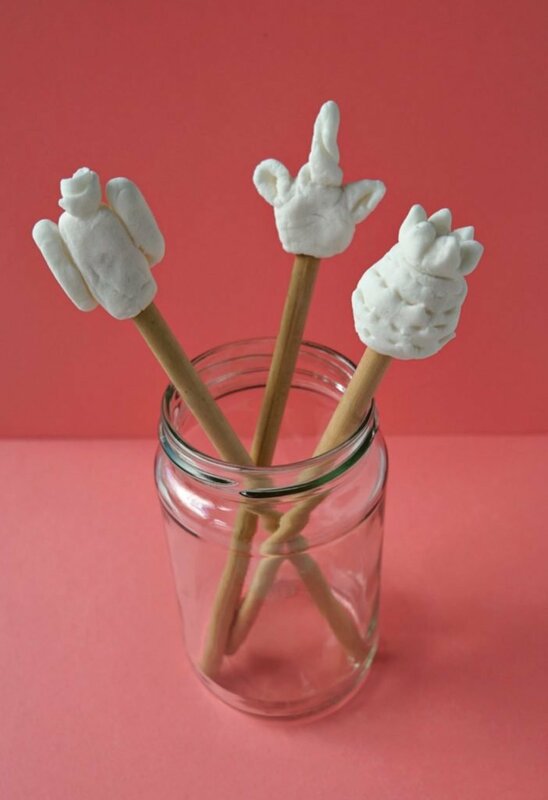 With my batch of homemade clay I wanted to make a few pencil toppers to decorate some otherwise very boring pencils. 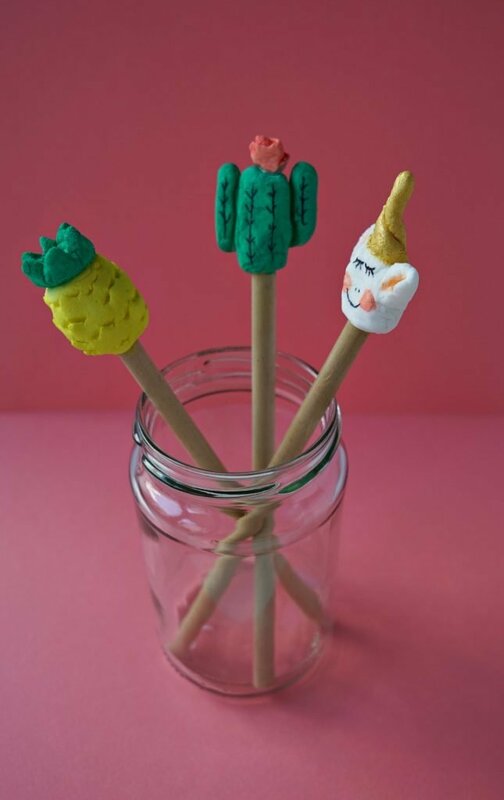 I decided to make a cactus topper, a pineapple topper and something that’s suposed to look like a unicorn. First I cut off small sections of clay. For every topper I started with a small ball. Next I made a hole in the base with a pencil. Then I formed the basic shape with my fingers. Next I added other elements to the design, like the crown of the pineapple, the flower and ‘arms’ of the cactus and the horn and ears of the unicorn. To make sure all of the elements stay put, make sure all of the seams are smoothed out with a small, blunt utensil, like the back of a knife. If any of the elements do fall off once the toppers are dry, you can simply glue them back on with a glue gun or some heavy duty glue. Once you’re happy with your design, let the clay dry for a least 24 hours. After they’ve dried overnight you can paint the clay toppers in whatever colors you like. Have you tried to make homemade clay before?